There is a tie between kids and ghost because kids are innocents and do not have a fear of things they do not understand. Their innocent is why ghosts seek out the children. They have no fear and show no signs of threat towards a ghost. Many will say that this is untrue, but the facts are true. A ghost is more apt to visit a child than an adult. The adult will display fear and act upon it, where a child will be relaxed and not have any animosity towards the ghost. People have thought this way for years. Many people question whether a child can actually see ghosts or rather are they making it up, like an imaginary friend. This has been challenged for years. However, many kids and ghosts have communicated and the kids know things that no one else can possibly know. This makes everything more challenging. How could these kids know the things they do if it was not told to them by the ghost in question. Yes, kids can see ghosts that many adults cannot. One has to believe this if they have no other logical explanation as to why kids know things that only a ghost could tell them. You have heard about ghosts that play with kids when the parents are out of the room. One such case was a ghost that was in a home lived in by a family of two adults and two children. The children would wake up at night because someone was tickling their feet. Since no one was in the room but the kids who were asleep when it happened, who could it of been. The only logical reason is a ghost was doing it. It happened to both of the kids. People find this hard to believe, but kids are innocents and do not threaten or feel threatened by the unknown. There are ghosts it seen everywhere. Kids and ghosts are a combination that should not be dismissed for any reason. If a child says that they see something or feel someone touching them, you need to investigate. You need to know if it is a friendly ghost or a ghost that could cause harm. Yes, ghosts are a reality and adults do have to listen to what children are telling them. For those who think ghosts do not exist, how can you explain some imaginary friends that actually play with your kids and keep them occupied? 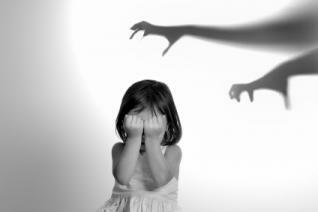 Is it really just the imagination or is your child seeing a spirit that has adopted them as a friend or even a foe. The ghosts may be kids from the past. These ghosts may not be harmful ghosts, but rather playmates. Not all ghost watchers believe in bad child ghosts, but then again, can you afford not to find out who your child is playing with and what their names are for reference.